In 2012, the Authority undertook a detailed analysis of alternative fueling options. 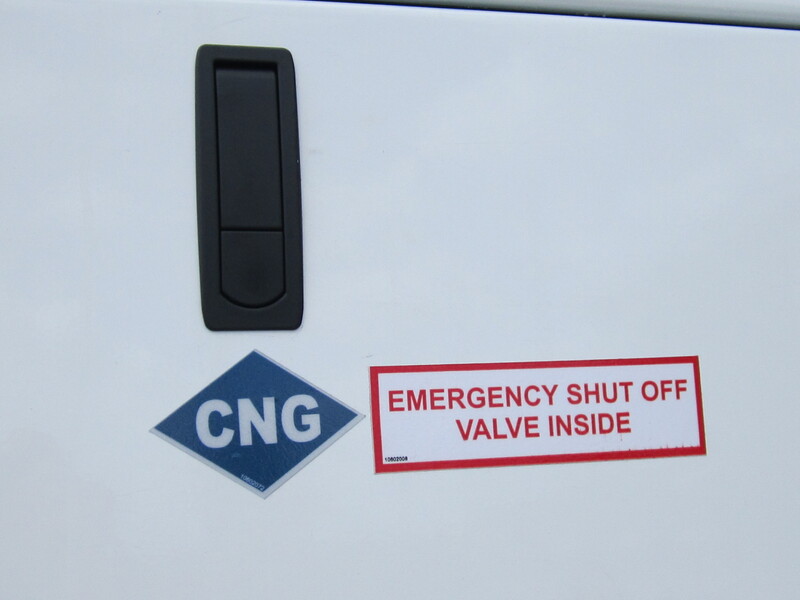 On September 27, 2012 the Authority unanimously resolved to begin transitioning the fleet to compressed natural gas. View a copy of the report. 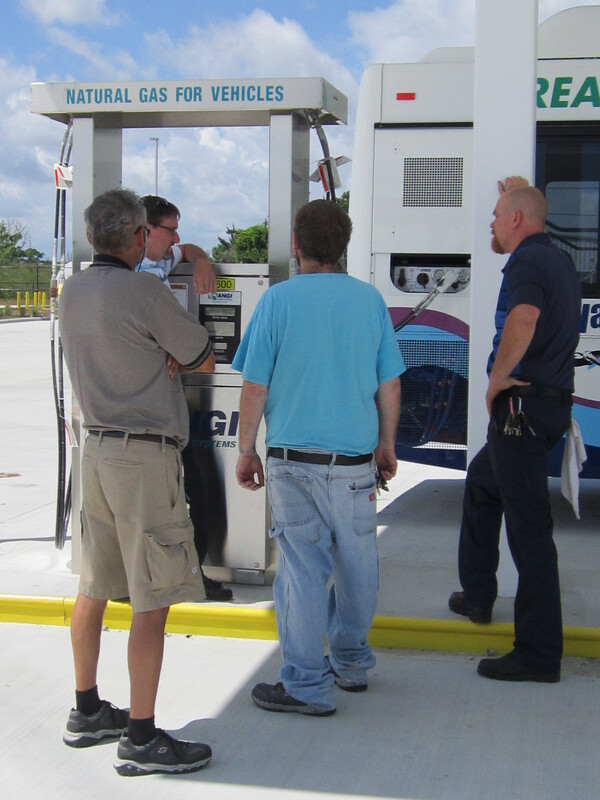 In April 2015 the Authority officially dedicated its new $1.1M CNG fueling station. Since commissioning the CNG station, the Authority has added six 35′ buses and one shuttle bus to our CNG inventory, with ten buses programmed through 2020. Significant fuel savings and emissions reductions have been realized from the CNG initiative. 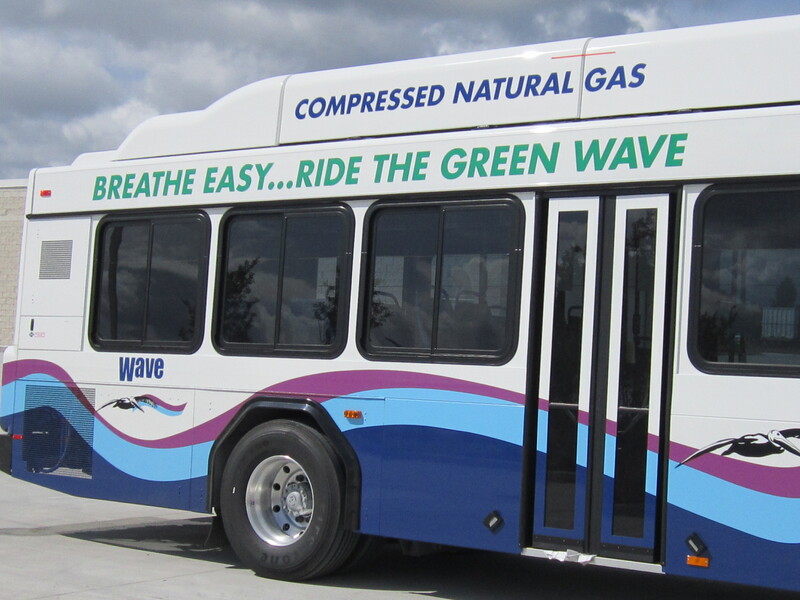 In 2010 Wave Transit introduced two diesel-hybrid buses to its fleet. The thirty-five foot heavy duty buses were manufactured by Gillig Corp. of Hayward, California. The diesel-hybrid propulsion system is powered by the Alison Hybrid EP40. This technology features two-mode compound split parallel architecture with two paths – a pure mechanical path and pure electrical path – to achieve the highest energy efficiency. Prior to purchasing the hybrid vehicles, Wave Transit polled systems that used the technology in an effort to gauge fuel efficiency and other factors that contributed to the sustainability claims made by the manufacturer. The Authority also currently utilizes two Ford Escape hybrids as part of the non revenue fleet. Hybrid buses, vans and cars will continue to be evaluated to determine the most efficient and economical alternatively powered vehicles. The Authority is currently monitoring fuel savings, increased brake life and other maintenance costs to determine if hybrid technology is economical and efficient. The Authority is committed to sustainability and evaluation of multiple options will produce an environmentally sensitive fleet that meets the needs of our passengers and the community.